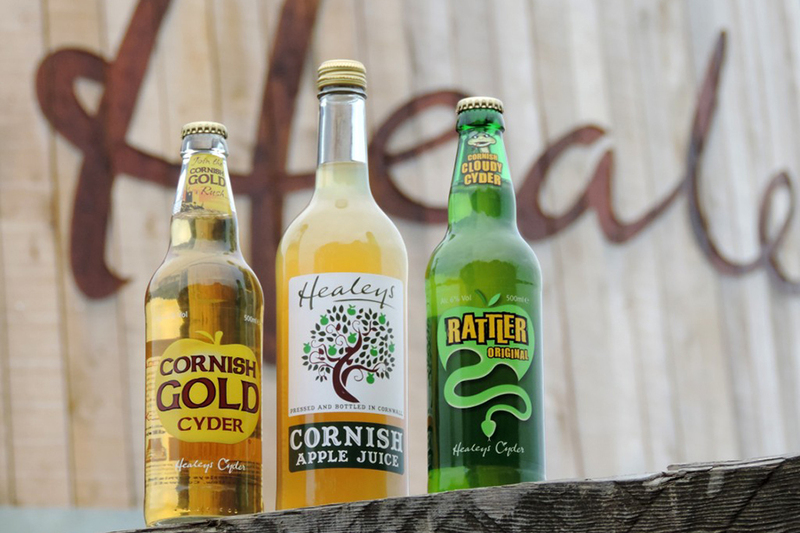 Situated 20 minutes away from Newquay, Healeys is a working cyder farm steeped in history, which has been brewing award-winning ciders, wines, and fruit juices, for over 25 years. Not content with just producing some of the best ciders in Cornwall, our family have developed the farm further to make it an unmissable visitor attraction in Cornwall. Whether you’re looking for a complete day of fun for your group, or just want to stop by on your way to somewhere else, we are confident that we have something to make everyone’s visit to Healeys Cyder Farm an enjoyable one. There’s so much to do! With our wide-range of tours available, you can take a peek behind the curtain one of the largest cyder manufacturers in the UK, and the only distillery of it’s kind in Cornwall for 300 years. The full guided tour will take you through every single part of the process (including our jam kitchen), whilst some of our smaller tours allow you a little glimpse of what we get up to here. Why not take a tractor ride through our orchards, or try one of our self-guided tours and enjoy our many facilities at your own leisure? All of these include a complimentary taste-testing of our products. There’s fruit juices for the kids, and cyders & wines for the parents (if you fancy a little tipple, that is). But, there’s so much more to our farm than just cyder-making. 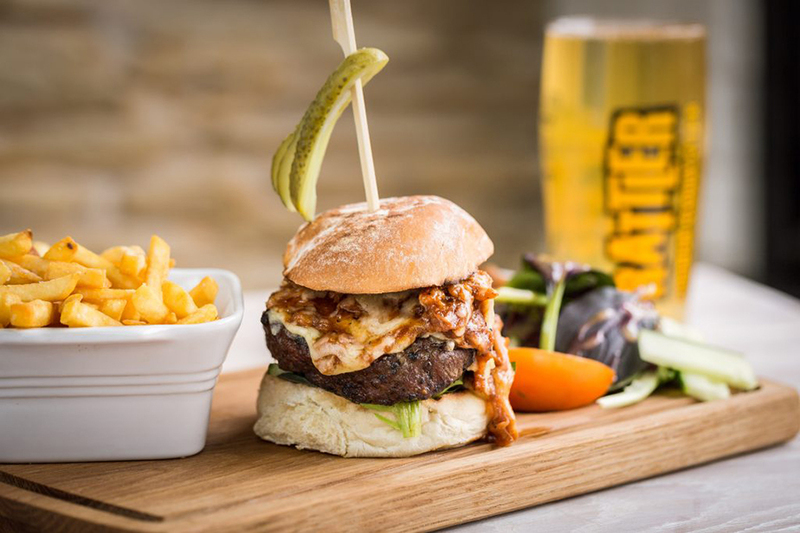 We have The Old Bottlery Restaurant, serving hearty home-cooked meals throughout the day, using the finest local ingredients and some of those that we grow right here on the farm. There’s our very own Tea Rooms, serving up a selection of tea and scones, all slathered with lavish helpings of our very own jam. There’s plenty to look at and enjoy with your family. Have a look around our cyder-making museum, visit our farm animals, and keep an eye out for our free-roaming peacocks or Fred, the farm cat. And, of course, there’s our farm shop on site. Here you can purchase any of our wondrous ciders, wines, spirits, or juices, as well as our collection of merchandise to take home with you. The perfect keepsake for a perfect day. So, what are you waiting for? 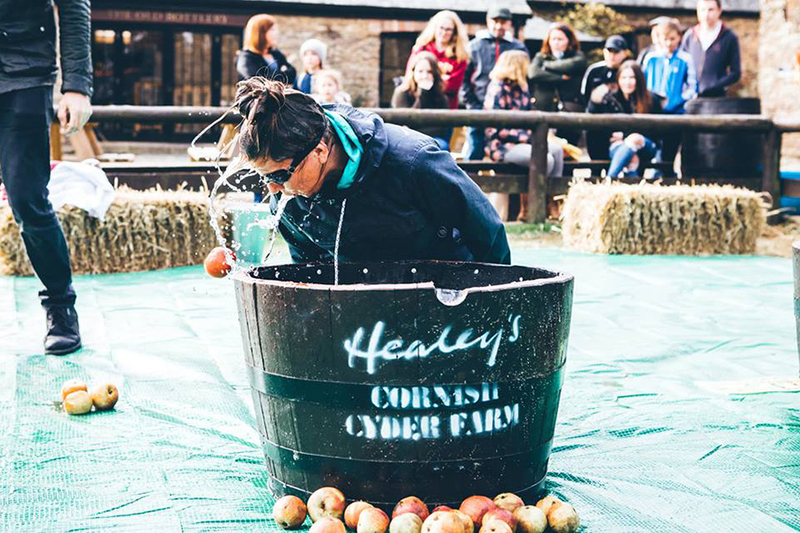 We guarantee you’ll find a day jam-packed with fun at Healeys Cyder Farm, whatever the weather.